Scuba Ranger Courses are offered on Weekends throughout the year and we offer Summer Camps as well. 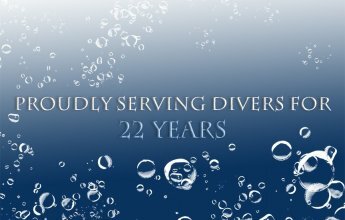 Once Scuba Rangers have completed the initial course, they can participated in monthly activities in our pool and when they are ready in select Open Water Sites. Please contact us for more details. Scuba diving is a totally awesome sport, and Scuba Rangers is “A Way Cool Kids Club”! Until recently, only older kids and adults could dive. Not anymore! 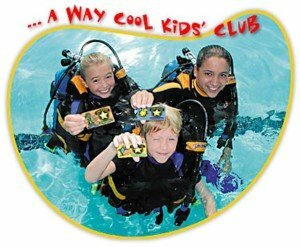 Now there’s “A Way Cool Kids’ Club” for children ages 8-12 called Scuba Rangers. Kids can dive in a pool with real diving equipment, play games underwater, and other fun stuff. If you’re looking for a new activity that’s way cooler than soccer, snowboarding, karate and scouts, check out the Scuba Rangers! 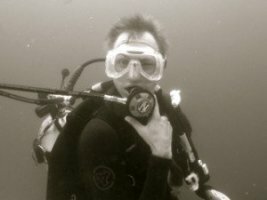 Who can be a Scuba Ranger? Any active kid ages 8-12. The children of divers and non-divers are equally welcome. You must have basic swimming skills, be comfortable around the water, and in good health. Andrew has been teaching our Rangers program for over 5 years now. His patience, guidance and experience make him a great teacher, as well as his fun side! He enjoys seeing kids accomplish skills underwater, and looks forward seeing them grow up as divers. Andrew lives here in Charlotte with his family.